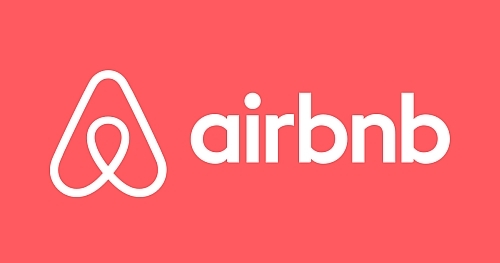 Airbnb coupon code: $273 off any booking! No minimum spend. 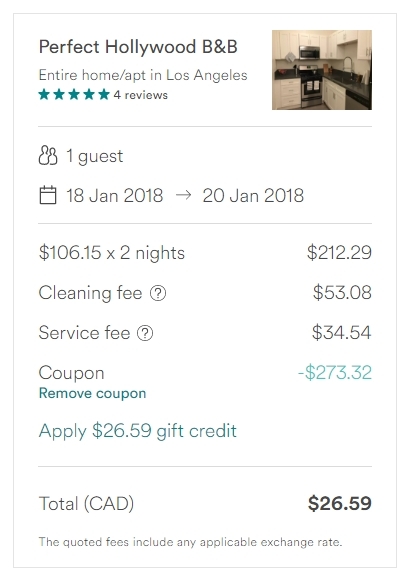 Airbnb has released a coupon code that gives you $273 off any Airbnb booking, with no minimum spend! I'm guessing this is either a mistake, or will be gone/deactivated in a *very* short period of time due to insane demand, or both. Update @ 2 PM EST - Looks like Airbnb has caught this already and has deactivated the code. 2. Search for your booking. 3. On the booking confirmation page, click on 'Add a coupon code'. 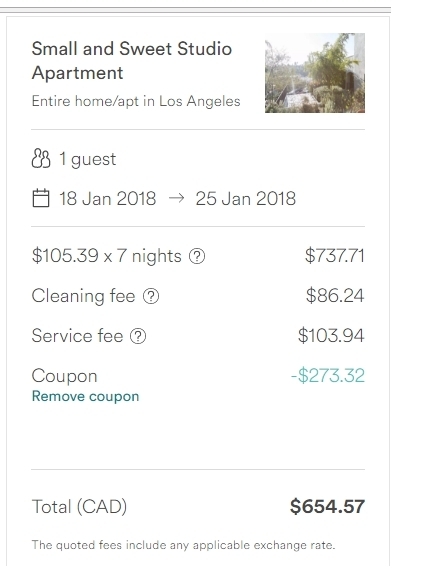 17 Responses to "Airbnb coupon code: $273 off any booking! No minimum spend." Just booked with this and it works. Thanks so much! How do I apply this coupon to a confirmed reservation? Just tried... expired. That was quick. Congratulations to those that got in before expiry. Yup, I just tried too, and it is expired. Darn, too slow. coming up as "expired" for me now.